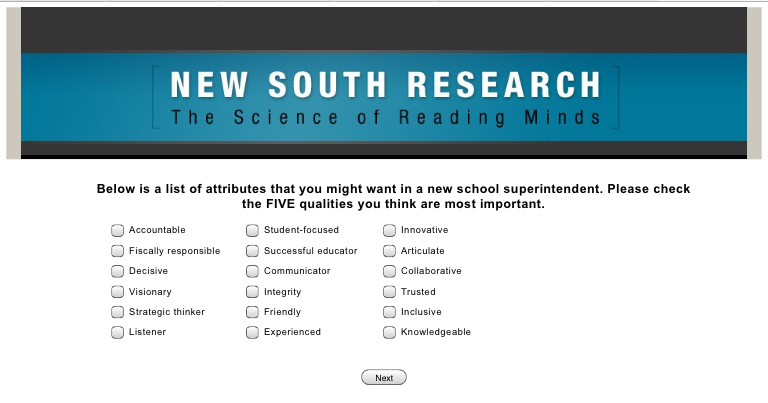 Hoover parents and school employees have until February 6 to complete the survey created by New South Research, at a cost of $7,200, to gather opinions on what qualities are wanted in and what priorities should be focused on by a superintendent. Community members hoping to be surveyed will have to wait on a phone call. Taking a peek through the survey, I couldn’t help but notice the leading questions within the survey. And the glaring omissions. 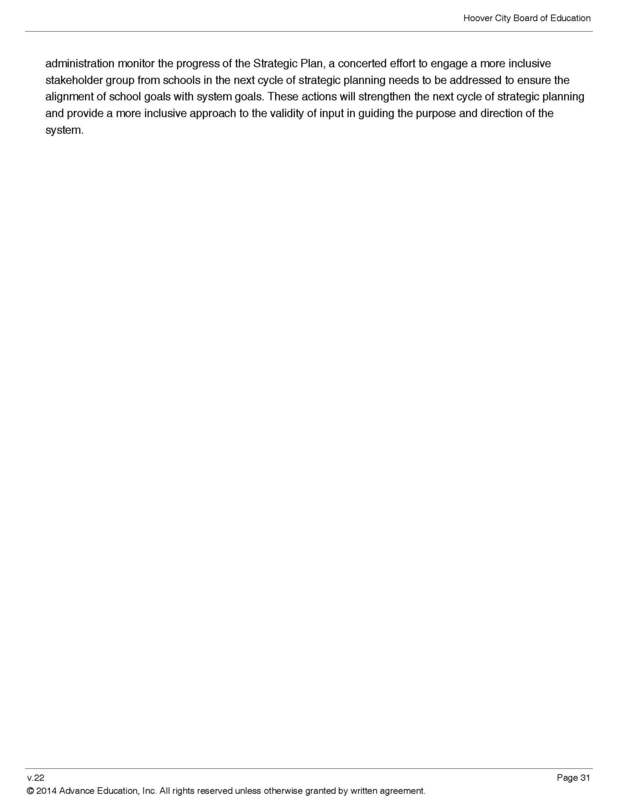 “This is a page [page 3] from the Community Survey that Hoover City Schools has commissioned to get input about the experience, skills, and priorities we would like to see in our next Superintendent. I find it disturbing that while the characteristic of ‘maintaining quality athletic programs’ is on the survey, ‘maintaining quality fine arts programs’ is nowhere. The applicants for the position will have no way of knowing the desires of the stakeholders with regard to the fine arts, because there is not even a place to write it in on the survey. Great question, Liz. So the arts didn’t even rank a separate mention. How did “managing transportation cost” even get added to the survey? Didn’t former Superintendent Andy Craig tell us that money was no longer a problem in Hoover schools? What about managing supplement costs (that rise exponentially every year as a percentage of an ever-increasing step-raise for teachers) or managing consultant costs (like the consultants hired to search for the superintendent) or managing technology costs? Look a few lines down in that same image to find “Rezoning to maximize resources”….what does that even mean? When was rezoning about maximizing resources? Didn’t Craig tell the community that rezoning was about dispersing minority children throughout the community to avoid an intervention by the “Justice Department”? And how can you not find irony in the ordering of items, with “maintaining a culture of trust” listed just above “managing transportation cost”? Were the Superintendent and the Board working to “maintain a culture of trust” when they eliminated buses in the middle of the summer, without announcing it or asking for community input? Here’s the full survey, captured from screenshots. There are three issues on the table: (1) the rezoning proposal, (2) the bus fees, and (3) the determination of whether Hoover City (and Jefferson County) has met its obligations on the Green factors. There was a conference call on Monday, January 26, between the parties that resulted in all attorneys agreeing to file motions requesting time extensions of the January 30, 2015, due dates. The due date for the joint statement of the attorneys involved (Jefferson County, Hoover, NAACP LDF and DOJ) has been postponed until February 6, 2015. This motion requests an extension on the joint statement. As part of the reason given for requesting the extension, Hoover board of education attorney Donald Sweeney stated one of the reasons to be “the necessity for the Board to address its position regarding two components of the six Green factors at a Board meeting scheduled for February 2, 2015”. No mention of what those “two components” are. The due date for the requirement for Hoover to file 5 years of additional data (2009-2013) has been postponed until February 13, 2015. Here is the 2014 data for school year 2013-2014. This motion requests an extension of time to produce the data. The Judge granted the motions for extensions on Wednesday, January 27. The rezoning proposal appears to have flaws, particularly given no reasons other than “balancing the numbers” have been given for moving one set of children who are living in apartment homes to another school, while moving another set of children who are living in apartment homes right back into that school. Hoover school officials have provided no justification for doing so, instructionally, programmatic, or otherwise. Thus, there is no benefit to the children being moved. Rumors abound that the rezoning proposal has been “rejected”, but there has been no official word from Hoover or any of the other attorneys involved. The bus fees are still on the table, and will likely be part of the discussion of the Green factor that relates to transportation. The Green factors are: (1) student assignment, (2) faculty assignment, (3) staff assignment, (4) transportation, (5) extracurricular activities, and (6) facilities. The Judge has allowed a larger conversation about the treatment of students, regardless of race, to take center stage by putting focus on the Green factors. Data will show whether Hoover is meeting its obligation to treat all students the same in class assignment and facilities, which includes disciplinary actions. Initial review of the 2013-2014 data that Hoover filed in November 2014, reveals serious concerns about placement of students in high school classes. All attorneys have been called to a status conference, set for February 20, 2015, though it is unclear whether the conference will be via telephone, in the Judge’s chambers, or held in the courtroom where the public can attend. 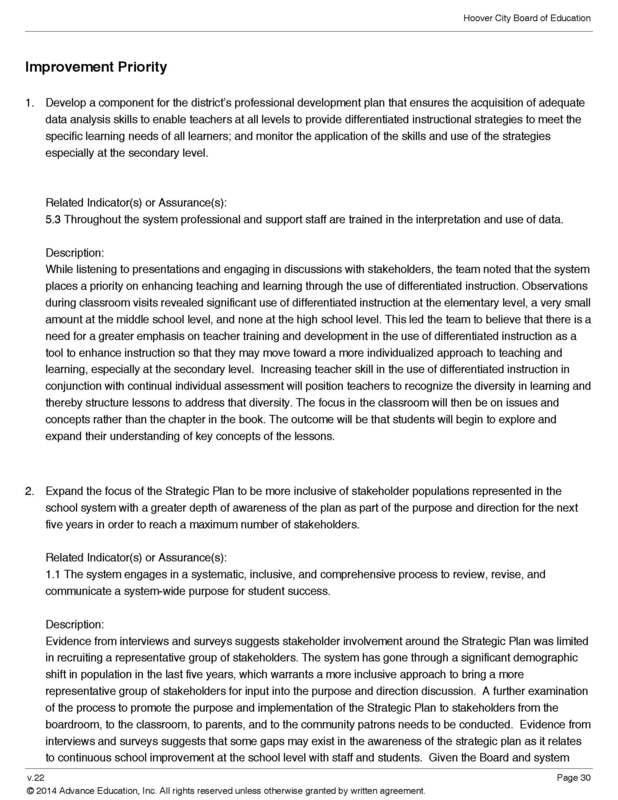 This document outlines the general process for school districts seeking “unitary status”, meaning they have eliminated their dual system (one for white students, one for African-American students) of education. New test. New results. Can’t compare the 2013 test results to the 2014 test results. Levels III and IV are considered proficient. Level I is “in need of support”, Level II is “close”, Level III is “ready”, and Level IV is “exceeds”. 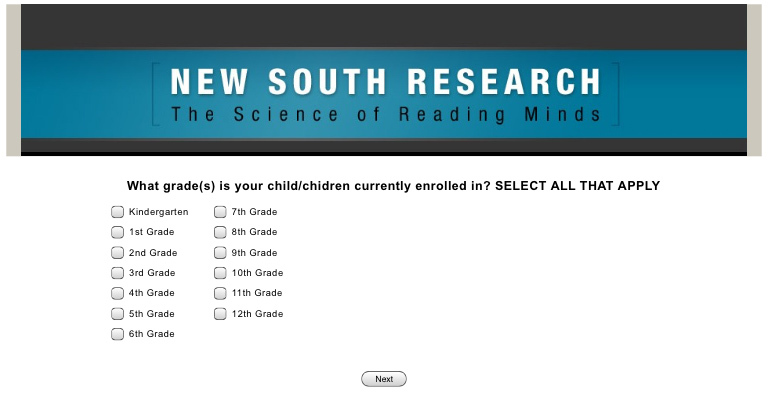 Click here for more information about ACT Aspire and what the results can and cannot tell you. Click this link to view an interactive table where you can choose the school, the grade(s), the subgroup(s), and the subject(s) you’d like to view. And remember. This is one snapshot. Test results never tell the whole story. But it does give us a place to start asking questions. How Are We Going to Stay Informed? Things have quieted down for the moment, and most of us have gone back to our daily lives. But while we are busy taking care of our families, working our jobs, tending to all that matters to our families, the folks that make decisions for our schools are still at it. Still making decisions that affect our children, our teachers, our schools. So what’s the plan?? How are we going to stay informed? Ten years ago, Hoover Parent Teacher Council (HPTC) President Liz Wallace started an email list, fondly known as The Big List, to keep us all up-to-date with the happenings around the City Council’s funding grab. When her internet service provider could no longer handle the sheer number of email addresses on the List, she started a blog (who remembers the Big List Blog?) to keep us all informed about what was happening with our schools. Liz was a trail-blazer, using mass electronic communication techniques before most of us even knew the term. 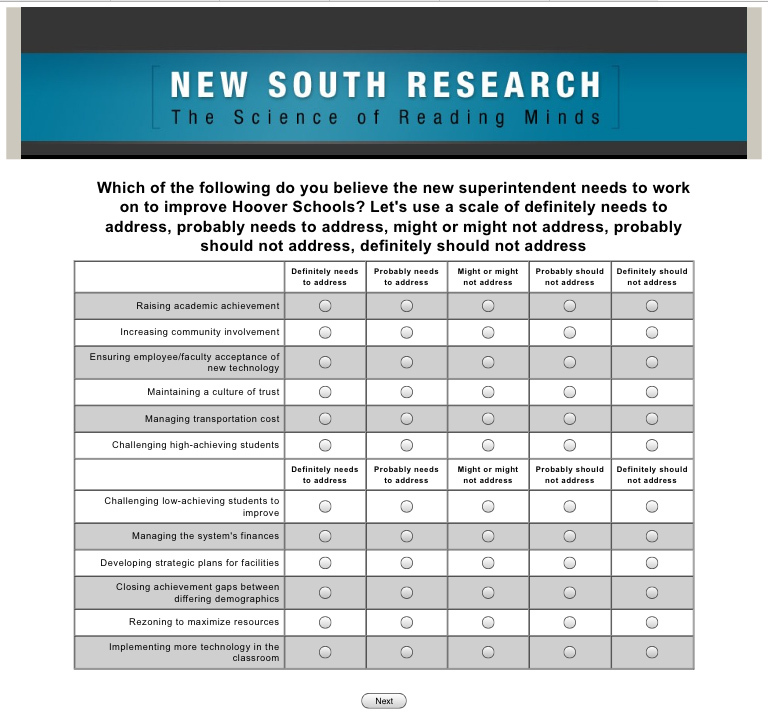 In 2006, the Hoover School Community Information Network (HSCIN) took on the responsibility to inform our citizens about what was happening in our schools. In July 2007, THE Hoover Forum became a place for citizens to gather (even if shrouded by anonymous screen names) to have the discussions that needed to be had. By 2010, the HSCIN closed down. THE Hoover Forum went mostly dormant not long after that. At this point, the only place the good people of Hoover can access news on a regular and reliable basis is that reported by our long-time, dedicated al.com reporter Jon Anderson. The Hoover Sun has joined the local media, but focuses mostly on the good stuff. Good stuff is certainly happening every day in Hoover, but there are lots and lots and lots of worrisome and under-reported happenings that are never brought to light because there is no one to report them. We need folks who are willing to attend public meetings and take the time to write up those meetings. From start to finish. There is still a core group of us who recognize the need to stay aware…keep tracking the smoke, not just responding to the flames. We hope to provide regular reports on school board meetings (coupled with links to Fulton’s audio of these meetings, of course), Hoover Parent Teacher Council meetings, PTO and PTA meetings, city council meetings, planning and zoning board meetings, chamber of commerce meetings….any public meeting or happening that impacts our Hoover City Schools. But we need your help. If you are willing to contribute to this effort, sharing notes from meetings you attend, please contact us at hooverfacts(at)gmail.com. One thing that will not be tolerated nor responded to: anonymous emails, anonymous writings, anonymous comments. Unless a real (and verifiable) name is on an email, it will be deleted. So please place your name in the subject line if you wish to contribute. We need real people in this discussion. Real people willing to use their real names. Sure, we still have the Free the Hoover Buses Facebook page, and THE Hoover Forum is available for use, too. We even have a (relatively) new Facebook page, Save Our Schools, Hoover, to flash-announce the news. But we, as a school community, need a way to disseminate information quickly…the same way we did during the initial bus elimination and the rezoning crisis last summer and fall. We must continue to guard against allowing ourselves to be divided…allowing school board members and city council members to make promises they can’t keep in order to keep us quiet. It is The Hoover Way: city and school leaders keep us fighting over resources in order to retain the power to make the decisions that need to be made. We have to think outside of our tiny kingdoms and look to the betterment of the city…of our children and our future….as a whole. We allow ourselves to be divided because the politicians in our city find it easier to manage us when we are divided. It isn’t an Either-Or World. It isn’t “either we have a great police force or we have money to improve our schools”. It isn’t “either we build a new fire station or we build a new elementary school”. It isn’t “the superintendent says the schools don’t need money, so the schools don’t need money”. And it certainly isn’t “the kids who are moving into Hoover are so challenging that we need to cut off their means of transportation to school”. We, the people of Hoover, determine the direction we want our city leaders to FOLLOW. We, the people of Hoover, determine the direction we want our school board to FOLLOW. We don’t serve them, folks. Remember that next time you have a conversation with one of Hoover’s elected or appointed leaders and they tell you what THEY want for the city or for our schools. Remind them that they need to listen to you. Please let us know if you’re willing to help. We’re all volunteers. We all have commitments. We need you. Attendance at board meetings has fallen again. Very few Hoover residents are paying attention to what our school board is doing. Which is exactly what school leaders hoped would happen. Last Monday’s meeting was one that needed 100 witnesses. The treatment of the public by the school board once again deteriorated to that seen during the initial days after the ill-fated decision to eliminate school buses. Serious matters including the cleanliness of our schools, the ethical behavior of our school principals, and whether the concerns brought by the accreditation team last year have been addressed were brought to the attention of the school board. And the public was nowhere to be seen. Former Superintendent Andy Craig has started his new job at the state department, leaving Hoover City Schools in the middle of an incredible mess…a mess of his making. Will rezoning happen? If it was so important to get it done, when is it going to be done? What are the Department of Justice, the NAACP Legal Defense Fund, and the federal judge going to do about the rezoning application? What is the plan for future growth in our schools given the number of new houses being built? Where is the plan to continue to chip away at the operating deficit approved by the Board of Education every year? Will the plan to charge for buses go into effect during the 2015-2016 school year as approved by the Board of Education last April? And the big question: who will be Hoover City Schools’ next leader? What role will the public play in the search? Will we be pacified and asked for input, only to have the decision rest with the five members of the board who will disregard our input as they did in 2007? Here’s a look at what happened at the January 12 regular meeting, thanks to Jon Anderson at al.com. Here is Dan Fulton’s audio recording of the meeting. During the public participation portion, Arnold Singer asked the board to please ensure that their board meetings do not conflict with the City Council meetings. Typically the Board holds their meetings on the second Monday of the month, where the Council holds their meetings on the first and third Mondays of the month. However, both the Council and the Board are scheduled to hold their separate meetings on February 2. Trisha Crain (that’s me writing this, BTW) asked where the accreditation process stood, as AdvancED visited last February and gave us homework to do. Two improvement priorities. The meeting where those results were to have been shared publicly with the board and the public was cancelled. It was not rescheduled. We have heard absolutely nothing about the results of the accreditation team’s observations. Instead, we have been left to fish out those results for ourselves. Here are the improvement priorities brought to the attention of the board. Pages 30 and 31 of this report. Crain then asked about the meetings between the attorneys looking into whether Hoover City Schools is ready to proceed with asking for unitary status (meaning the desegregation order could be, in effect, lifted). Hoover Board attorney Donald Sweeney stated that the next step is to file reports with the Court on January 30. The attorneys have discussed which data sets and information needs to be exchanged in order to determine the direction of the efforts to move toward unitary status. Clement reminded us all how reluctant teachers are to step forward with the concerns they have. One has to wonder why teachers are not more comfortable sharing these types of concerns with their principals. What type of climate exists where teachers are afraid to even share concerns about cleanliness? This link takes you to the point in the meeting where Clement began her presentation. Listen carefully to hear how board of education member Earl Cooper addresses Clement. Hoover parent Jody Patterson spoke…um, tried to speak….next about the exorbitant charges for all-things-graduation at Hoover High School. He reminded the board they set the policy and had the ability to influence these types of practices. That’s when Sweeney shut him down. Sweeney claimed Patterson was there to “defame” (presumably Hoover High Principal Don Hulin, whom Patterson reported to the Ethics Commission for practices related to graduation supplies) and should not be allowed to speak. Board members Craig Kelley and Earl Cooper joined in gang-bullying of Patterson at that point. Sweeney did some extra-special lawyer speak, and Patterson stepped away from the podium. In short, Sweeney and the Hoover Board of Education denied a citizen his constitutional right to address the board of education without due process or the opportunity to defend himself. Perhaps Sweeney and the Hoover Board of Education should review a recent court settlement resulting in a $147,000 award to a parent who had been barred from speaking at school board meetings who was also denied due process. This link takes you to the point in the meeting where Patterson tried to address our Board. For those of you who think this was the first time Sweeney has tried to limit public participation, think again. We saw Sweeney attempt to limit discussion about the buses many times. Before the start of the July 29, 2013 board meeting, Sweeney informed the public of a “new policy” to limit time at the podium. Before the board voted on it (Open Meetings law, anyone?). The Board then picked and chose when they would implement the two- or three-minute rule in an extremely arbitrary manner. Without warning. Sometimes there’d be a time limit. Sometimes there wouldn’t be. On multiple occasions at multiple board meetings, Sweeney arbitrarily decided who would be allowed two minutes to speak and who would be given more time. No rhyme or reason. He stopped some folks from speaking when the time hit two minutes and didn’t interrupt others. Completely arbitrary and capricious. When a board’s attorney (that the citizens pay for, remember) can keep a citizen from speaking to the board of education about a serious problem…the hundreds and hundreds of dollars that Hoover’s families spend on graduation supplies…all bets for meaningful participation by the citizenry are off. The board went into executive session at that point. Folks in attendance then departed for private conversations. A special called meeting is set for 7:30 a.m. on Friday morning to choose the search firm. It should be noted that no other firm has approached Hoover City Schools. Sweeney said he and interim Superintendent Dr. Reese will contact other firms to determine if they have an interest in submitting a proposal. Before Friday. Next regular meeting is scheduled for Monday, February 2 at 5:30 p.m. No word on whether a work session will be held.